How much money will you need in Mexico City? M$767 ($41) is the average daily price for traveling in Mexico City. The average price of food for one day is M$198 ($11). The average price of a hotel for a couple is M$733 ($39). Additional pricing is in the table below. These average travel prices have been collected from other travelers to help you plan your own travel budget. How expensive is Mexico City? How much money do I need for Mexico City? Mexico City is one of the largest and most populated cities in the world. There are an estimated 26 million people living in the greater Mexico City metropolitan area. The area is about 60 kilometers by 40 kilometers and is surrounded by tall mountains and volcanoes on three sides. Mexico City proper has about 8.8 million people and is the capital of the country. More than a third of the country's economy is based here, making it the wealthiest city in all of Latin America. The city's climate can be divided into two seasons. The dry season is between November and April and the rainy season is between May and October. The spring months are usually warm and the summer months have frequent rain, particularly in the afternoons. The winter months can be quite cool with temperatures dropping to freezing at night or in the early morning. Many of the city's major sights and landmarks are found in the downtown area. This part of the city dates back to the pre-Columbian 12th century, so there are countless historical buildings. Popular landmarks in Mexico City include Plaza de la Constitucion, La Catedral, Angel de la Independencia, Basilica de Guadalupe, Ciudad Universitaria, Coyoacan, and Plaza Garibaldi-Mariachi. Popular parks in the city include Chapultepec Park and Zoo, Xochimilco, Parque Mexico and Parque Espana, and Viveros de Coyoacan. Popular museums include the National Museum of Anthropology, Plaza de las Tres Culturas, the Museum of Modern Art, Dolores Olmedo Museum, the Fine Arts Palace Museum, Rufino Tamayo Museum, and Jose Luis Cuevas Museum, among many others. Mexico City is divided into many districts, some of which are more influential than others. Centro Historico is the original district of Mexico City. It includes Zocalo and Plaza de la Constitucion and has many colonial buildings of importance. Polanco is one of the wealthier residential neighborhoods that also has many embassies and some high end shopping. Zona Rosa has much of the city's entertainment, but it is also a business district. Many museums as well as much of the city's culture can be found in Coyoacan. Condesa and Roma have many of the area's trendy restaurants and clubs, as does the recently gentrified area known as San Angel. 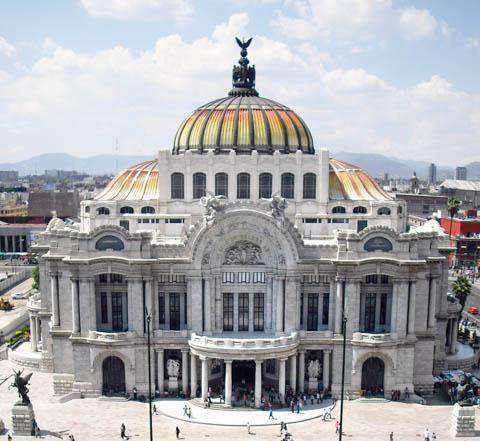 There are countless activities that you can enjoy while you're in Mexico City. Many of them are quite affordable, especially if you're backpacking through Mexico. Sporting events include soccer or baseball games, both of which are thrilling and adrenaline filled. Estadio Azteca is the biggest soccer stadium in the world and was built for the 1968 Olympic Games. It seats 129,300 people and is home to Club America, which is one of the most famous soccer clubs in Mexico. Other stadiums and arenas around town include Estadio Olimpico de Ciudad Universitaria, Foro Sol, Palacio de los Deportes, Arena Ciudad de Mexico, and Estadio Azul. There are several amusement parks in the city as well including Six Flags Mexico and La Feria de Chapultepec. Seasonal festivals include Independence Day "Yell", the Independence Parade, the Day of the Dead, and Wise Men's Day. Mexico is a large and diverse city and its restaurant scene can be quite diverse. In addition to the typical Mexican fare which you can find everywhere, there are international restaurants with cuisine from Poland, China, Japan, France, Italy, and Argentina among many others. The most popular restaurant neighborhoods are found in Polanco, Condesa and Roma, Centro, Zona Rosa, and along Avenida Insurgentes from Viaducto to Copilco. There is also a growing scene in Santa Fe. Mexico City can be overwhelming to navigate. Driving is not a realistic option for tourists and it is not recommended that you attempt it. Public transportation options include a metro system that is generally good as well as a bus system and an electric trolley bus system. There are also plenty of private buses that cover routes throughout the city. The metro system is one of the largest and most used systems in the world. There are 12 lines with trains the run every few minutes. Convenient lines for tourists include Line 1 (pink) that goes through Centro Historico, the Chapultepec Forest, Condesa and Roma neighborhoods, and the Northwest Bus Station. Line 2 (blue) also goes through Centro Historico to the South Bus Station. Line 7 (orange), Line 9 (brown), and Line 3 (green) also hit several tourist attractions. For many visitors, taxis are the easiest option. Make sure you only accept rides from official taxis, which have a red box with the word "TAXI" in the center lower area of the license plate.